Whether it’s a slick of crimson lipstick or the perfect stiletto shoe, nothing says “Im here” better than a killer shade of red. And now Estée Lauder are taking it one step further by showing you what red smells like. 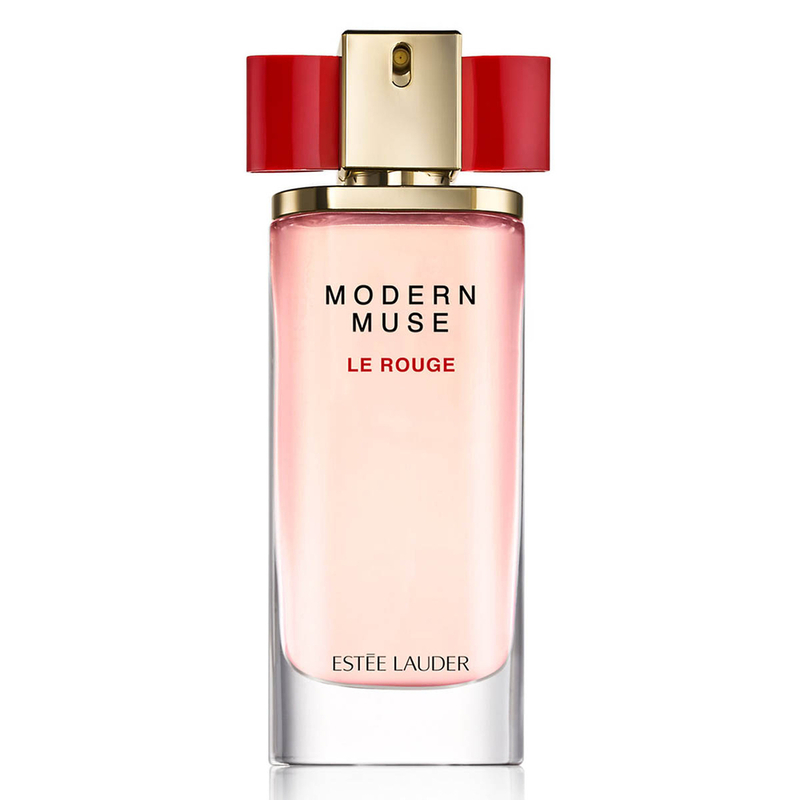 “Modern Muse Le Rouge is a celebration of a different form of inspiration. It’s an inspiration with attitude. A woman who is daring, confident in an overt way with a sense of bravado. She inspires by being noticed- and she never goes unnoticed,” revealed Karyn Khoury, Senior Vice President, Corporate Fragrance Development Worldwide, The Estée Lauder Companies, as we sat down during her latest trip to Dubai. Model of the moment, Kendall Jenner, is the muse for this instalment of the Modern Muse saga. As the ultimate fashion and social media muse for millenials, she debuts in her first-ever fragrance campaign, taking the fragrance to bold new territories. With two contrasting, yet compatible accords, this “dual impression” scent is a little different to the usual top, heart, base notes structure. The Ripened Roses Accord brings together Bulgarian Rose, Rose Centafolia, Bourgeon de Cassis, raspberry, pink pepper and saffron. The Velvet Cream Accord combines Madagascar Vanilla, amber, vetiver, patchouli, magnolia and jasmine. This is a big departure from the traditional “old school ” Estée Lauder we all know and love. It’s sweeter and clearly aiming at a younger consumer with stereotypical vanilla meringue notes but with its grownup floral heart and underlying spicy warmth, the scent in my opinion is ageless. It steps away from the “been there, done that” fruitiness of standard “youthful” fragrances by balancing out the sweetness with the saffron and pink that give it a sophistication and ambrette seed that adds a skin-like muskiness. The beauty of the entire Modern Muse collection is that each fragrance smells completely unique on every individual wearer but this version has a universal, sensual creaminess that lasts for hours and that’s guaranteed to be noticed. So if you’re looking for a fragrance that says “Bask in my female awesomeness” this is the one for you.